Egypt’s President Abdel Fattah al-Sisi arrived in Amman on Sunday for a one-day visit during which he will meet with King Abdullah of Jordan. Sisi was welcomed by the king upon his arrival. Sisi’s spokesman Bassam Rady said on Saturday that the talks between the two sides would cover means of boosting Egyptian-Jordanian relations and the latest regional developments, including conditions in the Palestinian territories and efforts exerted to reach a political settlement to outstanding problems and restore security and stability across the region. 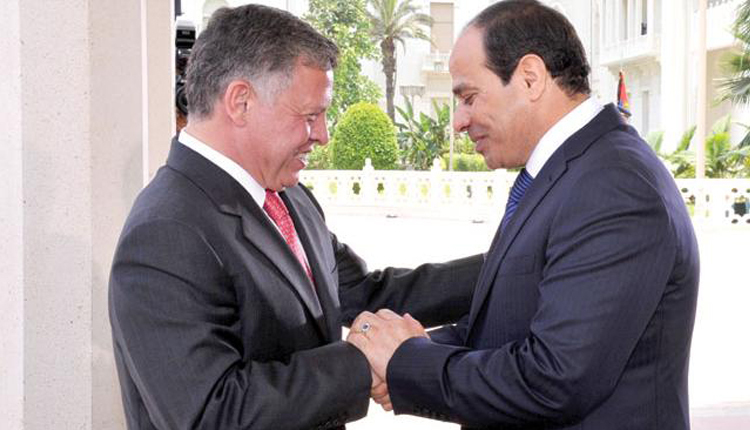 Egypt’s trade exchange with Jordan stands at $587 million.